Can Your Commitment Pass the Five Week Challenge? What is the Five Week Challenge? Diane shares how commitment isn’t the norm for the friends of those who are ill.
How good are you at staying committed to something? 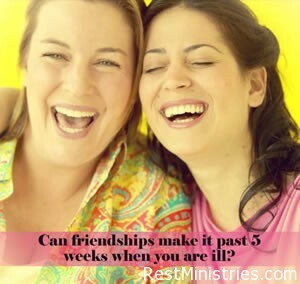 I have a dear friend who also is chronically ill. We have had many discussions over the fifteen years that we have been friends about how grateful we are that God put us together. We have each made a point of reaching out to one another consistently, either by calling, visiting, or now texting, in order that we would continue to nurture our relationship. We have made a commitment to one another. We have often talked about the fact that we have passed the “Five Week Challenge” What is the Five Week Challenge, you may ask? This is our own little timeline she and I had half-joked, half-seriously discussed about as the amount of time before individuals stop contacting you when you are chronically ill.
We have found that most people (not all–there are exceptions), such as friends, acquaintances, or church members, usually do not have the staying power to continue relationships with a chronically ill person that lasts past the five week point. That’s not to say that they don’t try or don’t intend to. It is just that many do not know how to deal with someone who does not get well, when prayers seemingly go unanswered. They run out of things to do or say when they call. This often leads to a gradual reduction in their contact until the contact is very rare or none at all. Until the last ten months, my life with chronic illness was one in which I would still have some points of recession, and could enjoy opportunities of feeling well, allowing for outings and activities at various intervals. But that has not been the case now for the past ten months. In this time God has shown me a new truth of the Five Week Challenge in my own life. Yes, the typical loss of contact has occurred, but more importantly, God has opened my own eyes to my own lack of commitment to others. Though I am usually committed to praying for those who I feel I have a kindred spirit with, those who suffer with illness, He has asked me how committed am I to pray, call, and show my concern when I myself am struggling? Or how willing and committed am I if it isn’t a health concern at all? One may be having a financial or an emotional burden. Does that make it any less important? No! God has assured me, in every circumstance I/we must continue to be faithful, to be committed to those He calls us to love, support, and pray for. How kind He is and gracious to show me that the very thing that can sometimes cause me pain and hurt feelings, I too am guilty of. But being a God who is merciful, He gently uses every circumstance to show me how to learn and grow, that I might become a better example of His love to others. Prayer: Dear Father, Thank You so much for the gentle way you teach us; for Your never ending covenant with us. I know, Lord, that You will always far surpass the five week challenge; help me, Lord, to be committed to showing Your love and faithfulness to others. Amen. Diane Kalata lives in Florida. She has three grown children, and a wonderful husband who offers much support. She enjoys leading a women’s bible study group as well as a chronic pain and illness support group. She enjoys art and writing as well. She is a colon cancer survivor, but deals with chronic digestive illness and pain. But her greatest joy is encouraging and sharing with others all that God has done in her life and continues to do. Have you had people in your life who have stuck around past the Five Week Challenge? How does it make you feel when someone commits to being a part of your life, even though it is challenging? Filed Under: Devotionals, Friend Has Illness, Friendships, Hurt Feelings, What's New? 6 Responses to Can Your Commitment Pass the Five Week Challenge? I’ve discovered, too, that you just lose friends altogether. 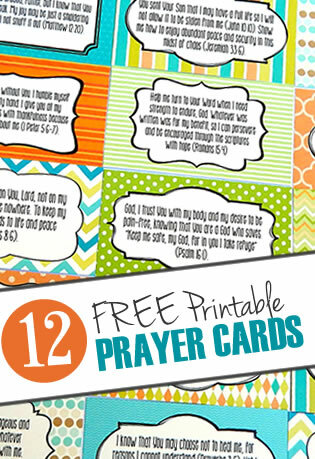 They get “tired” of praying for you–they expect a quick fix. And then they ask how you are, and if you’re not better, they act a bit angry at you for letting them down. Their faith, like their friendship, is not deep enough to handle reality. The blessing in chronic illness, though, is that the friends that stick around are the true friends you know you can count on, and that they can count on you. The chaff blows away and leaves the good seed behind! April what an excellent observation. I agree, I have found this also to be true. It is sad in some reapects but also strengthening in others, the reault of the chaff as you put it is that those people usually are true prayer warriors. Willing to accept whatever path God has chosen for you and to be a part of walking that path with you. It is good to have those people in our lives. Thankfully God allows me/us to be faithful in prayer for them also, to be a support for others. For we don’t have to be healthy or mobile to pray. My love is from India, and a Christian. She accepts me as I am, and I her. God love her. I hear all the time but you don’t look sick! Or your on using a cane? Did you fall? No I did not fall just my legs don’t want to work right today maybe tomorrow they will who knows but God. I find all of these questions or statement very funny, I have been ill for over 25 years and I have good days out of months at at a time and I only have family and my preacher as friends any more. no one calls! Yes I have depression but not from lack of friends, just from pain. I go to God for most of my support. My advice to any anyone with a chronic illness is to get right with God. I’m blessed to have a dear friend since 1984. We’ve walked through some very dark days together over the years. Me being there for her & her being there for me. She’s a single lady & all of her family are overseas. She’s been part of our family & like a surrogate auntie to my children.